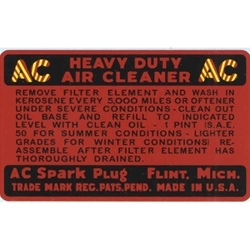 Decal A/C Air Cleaner Pancake Type Early. These are original water type decals. US manufacture.